During Advent we wait for the birth of Jesus. This year, however, as an immigrant with DACA protection, and parents without protection, the wait feels different. In the brief silences between my family’s laughter and chaotic chatter, I have noticed a different spirit in the air this holiday season. While this time is usually filled with hope and excitement for a new year, instead what hovers above our dinner table and lingers in our conversations is apprehension for what lies ahead. I know the same uneasiness rests in many homes as families anxiously wait for what is to come in these changing times. My parents, like millions of other immigrants, left everything they knew to give their children a chance at a better, safer life. 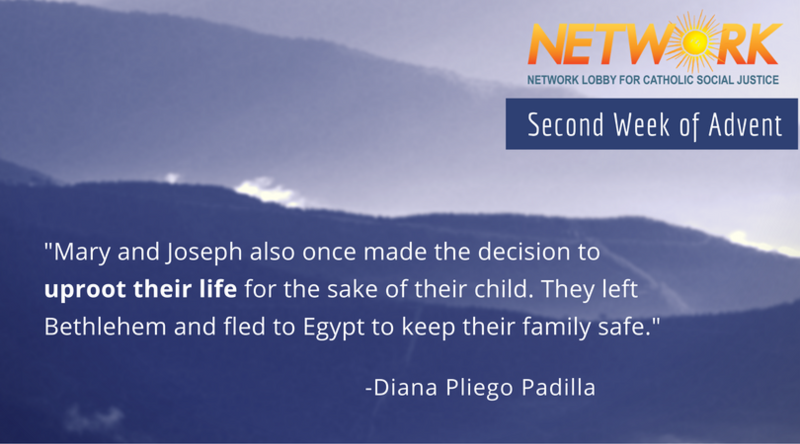 Mary and Joseph also once made the decision to uproot their life for the sake of their child. They left Bethlehem and fled to Egypt to keep their family safe after King Herod’s infamous order to kill all infant males under the age of two in Bethlehem. They moved to keep their family safe and to remain together. Migration and resettlement should not be a privilege for some families, but a right for all. The value of family unity should be reflected in all our laws. Every child and family deserves the chance to live their life to the fullest potential, even if that means leaving their original home. When we hear of children crossing our border in the arms of their mothers, it should be Jesus that we see. When we read about immigrant parents giving up everything they’ve ever known to provide the best future for their children, it should be Mary and Joseph that we imagine. When we think about humane and just immigration policies, it should be the Holy Family that we consider. 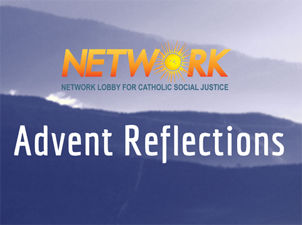 So if during Advent we wait, then let us wait with hope in our hearts. But as we wait, let us act. For we know faith without deeds is dead. Let our country lead with an example of true compassion for all our brothers and sisters, especially immigrant families like Jesus, Mary, and Joseph.